Think that Turkey is just for the holiday season? Think again! There are endless recipes you can prepare with Turkey other than the traditional holiday meal! From sandwiches to Quesadillas to soups, the possibilities are endless! You can prepare delicious low fat turkey recipes that will help you lose those extra pounds gained during the holidays. Who doesn’t want to get rid of of those extra pounds and get ready for the summer season (yes it is in few months but better early than late)! Well I do! With all the parties and meals, I’m carrying around a few extra pounds. Don’t ask how much, I won’t tell you! Even my husband doesn’t know! My 2013 goal is to lose that extra weight! Low fat Turkey recipes recipes and exercise will help me achieve that goal! Why Turkey? Simply because I love it! Tender and tasty! It can be added to sandwiches soups, etc! and kids are fond of it! They like the texture! Easy to chew for them! During the next 4 months, as part of a Butterball blogger program, I will be sharing exquisite ways to cook Turkey! I will also share news, contests and more! I am so excited to be part of this program! Butterball is one of the most well-known names in the turkey section of the grocery store! In fact, the name is almost synonymous with turkey. The company has been around for over 50 years, proving that they know their turkey business. In the old days, of course, recipes were handed down from generation to generation, or found in cook books. Now, we have so many more options for finding delicious turkey recipes! Butterball Canada wants to help you make amazing low-fat recipes using their fresh, succulent turkey products. The Butterball Canada recipe section has a huge selection of low-fat turkey recipes for every meal. Yes, you can even eat turkey for breakfast! Since turkey is naturally low-fat, you don’t have to worry about blowing your entire diet on one meal.Over the next four months, we’ll be showcasing delicious new low-fat turkey recipes that you can make and share with your family. 1 package (5 ounces) Butterball® Thin Sliced Honey Roasted Turkey Breast. I used the Butterball Turkey Breast instead because the kids already know and love it. My son is used to put it in his sandwhiches! 4 (10 inch) flour tortillas! I used Pesto tortillas because it will provide a nice color to the meal! The more the meals are colorful, the more likely the kids will eat it! 1. 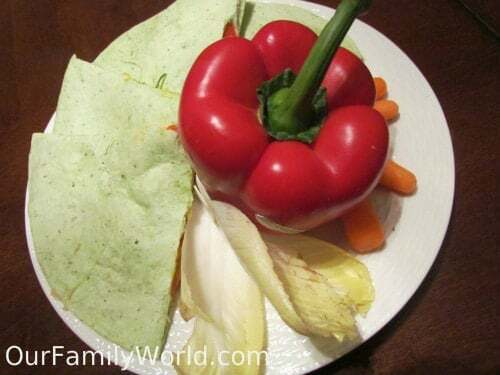 Place equal amounts of turkey, cheese, roasted peppers, and parsley on each of 2 tortillas. Top each with another tortilla. This can be performed by a younger child! My 5 year-old was happy to do it! It’s the perfect opportunity to get kids involved in the kitchen! 2. Place a 12-inch nonstick skillet over medium heat until hot. Add olive oil. Tilt skillet to coat bottom. Carefully add the tortillas. Cook 3 minutes on each side, pressing down on top with a spatula, or until the cheese is melted and the tortillas are golden. My 11 year-old was happy to do it (with my supervision of course). 3. Remove from pan and cut into wedges. Be careful, it can be hot!Voila! Ready in less than 30 minutes! Looking for ideas? Check out http://www.butterball.ca/index.php/pages/recipes/view_all_recipes, where you’ll find a wealth of recipes! These look delicious! I can’t wait to try them out. Thanks for sharing a great idea for a yummy lunch. Never thought to put turkey on quesadillas! And now I want some too… yum! 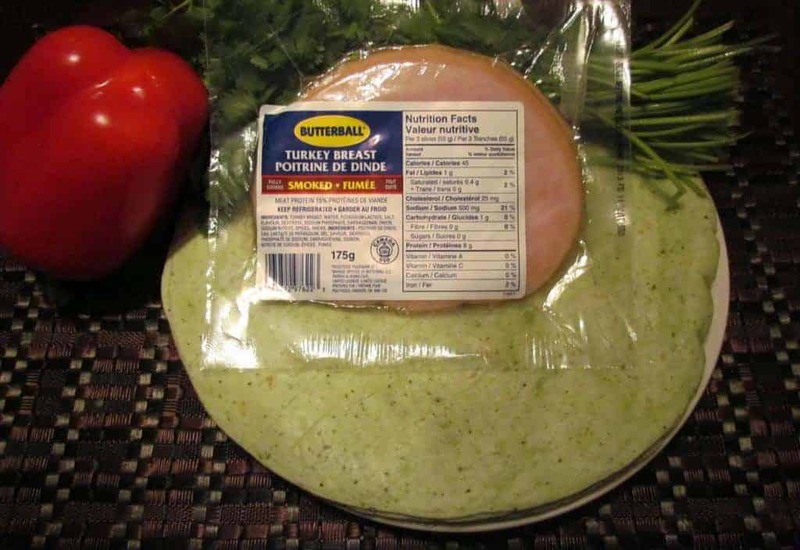 We love quesadillas but have never thought to make them with turkey…thanks for the great recipe, it looks yummy! Oh my goodness that looks amazing! I love turkey! And i love butterball! so definitely put them together and I’m happy! lol. This looks absolutely delicious! I need to make this! What a fun recipe idea! Very creative and great for a change of pace. Thanks for sharing! My hubby loves turkey and peppers! I make something very similar, but never thought of heating it and turning ti into quesadillas. Brilliant! My kids will love this, thanks! sounds delightful we love turkey around here. We just had chicken & cheese quesadillas yesterday for dinner. lol I would’ve never thought to use turkey though and love that you added peppers to yours. 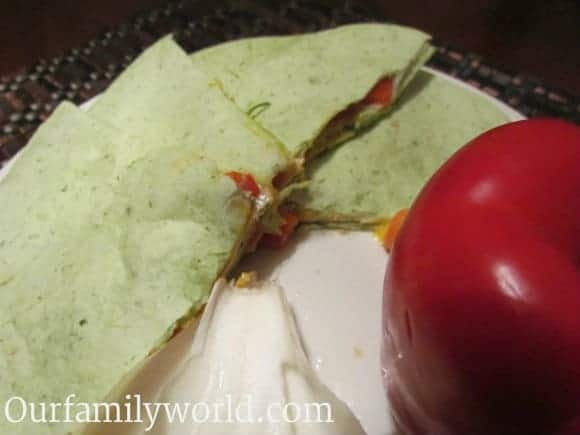 My kids love quesadillas and they’re so simple to make that it is a great way to get them involved in the kitchen too. Those look great! I love that they are quick and easy! Perfect for a busy night, but you still get all 4 food groups! Great presentation! Those look amazing! 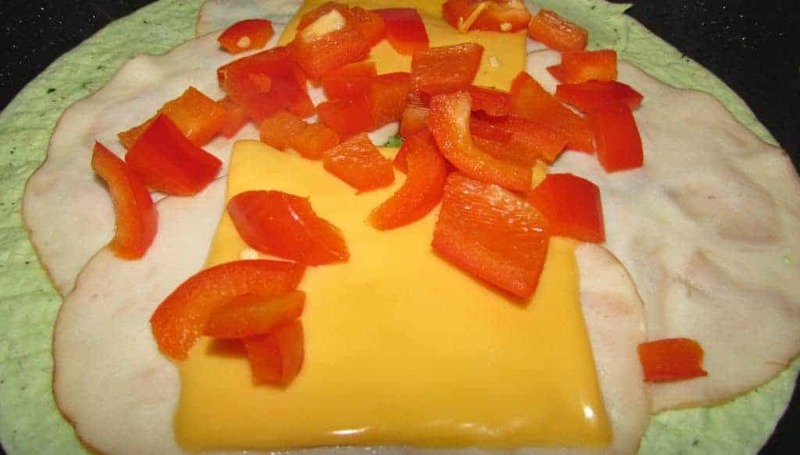 I love quesadillas alreay and this is a great way to make them. Thank you for sharing!